VIPCarCovers.com is proud to offer you the highest quality AC Ace car covers at the most competitive prices. 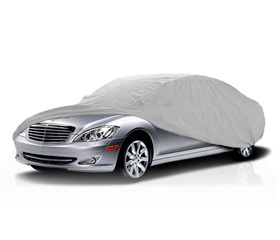 A good car cover is one of the most effective ways to extend the life and beauty of your vehicle. 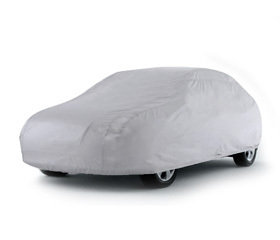 To find a AC Ace car cover, first select your vehicle below. Then click on View Details to find out more about each of our car covers. If you have any questions, please use our online form to contact us! The Ultrashield Car Cover is specifically designed for the auto enthusiast. Its 5-layer fabric is fleece lined to protect your 1955 AC Ace's fine automotive finish. Snow, rain, dew, industrial pollutants, tree sap and bird droppings are kept away from your Ace's finish. The patented UV Stabilizer "Remafin" is used to ensure a long life. A tie down strap and buckle attached with strap pocket is built into the Car Cover for easy storage. The Optimumshield Plus Car Cover is designed to be soft and forgiving to your AC Ace's paint finish. The material has a UV stabilizer developed in Germany that makes it tough against the sun's harmful rays. This superior soft cushioning layer is a luxury cover constructed to waterproof, yet babies your Ace with a velvet touch. The Premiumshield Plus Car Cover for the AC Ace is designed for indoor storage protection and moderate conditions. The Premiumshield Plus fabric resists rot and mildew, and is double-stitched for strength, with the feel and look of more expensive covers.